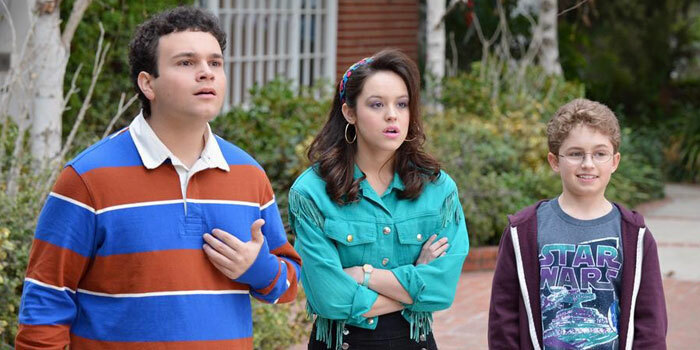 We’ve seen all the ads and it’s become one of my favorite new comedies to come out of last years UpFronts and now, finally, Channel Seven have locked in 80’s themed comedy The Goldbergs for a Wednesday night time slot! Based off the real life moments of Adam F Goldberg (actual moments captured on camera are wonderfully recreated throughout episodes) The Goldbergs follows 11 year old Adam and his family – his smother (smothering mother) Beverly, his often pants-less father Murray, his big dreaming older brother Barry, his was-once-a-nerd-but-now-im-popular older sister Erica and his livin’ large grandfather Albert as they try and survive everyday life growing up in the 80’s. The pilot episode is quite funny and as always, tries to establish character traits and quirks but you will find Jeff Garlin (as Murray Goldberg) to be quite over bearing but very quickly, things settle in and we’re left with a very funny, family based comedy, that will bring back the fond, and not so fond memories of life in the 1980’s and the pop-culture items that still remain popular to this day. Starting Wednesday June 4th at 8:30pm (odd time slot for a half hour comedy) Channel Seven will be offering up a double hit of the dysfunctional Goldbergs with the pilot episode and oddly enough episode 7 (which has featured heavily in the promo adverts) – but one need not worry about the miss-mash of episodes (the following week gives us episode 8 before we’re back to episode 2 followed by episode 11) as each episode, for the most part, runs as stand-alone stories. The only time things may seem out of place with this mashing of the episode run is when young Adam’s friends are introduced to us. There’s some big episodes featuring his friends (including a great homage to 80’s cult flick The Goonies) and young crush that may feel displaced by the hacking.